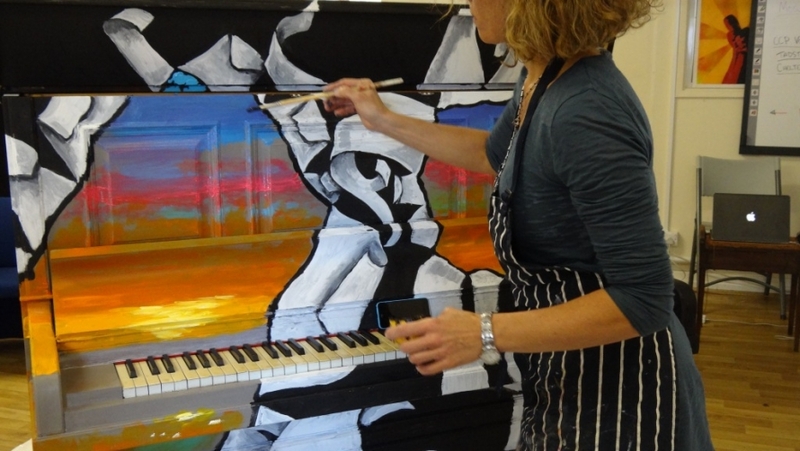 Cheltenham Jazz Festival Artist in Residence Polly Alakija has been commissioned to work with the local community to paint several pianos which will be displayed at Cheltenham Jazz Festival. Polly, who lives locally but works with community groups all around the globe, has created designs for the pianos inspired by Cheltenham Jazz Festival in a project supported by Cheltenham Racecourse. 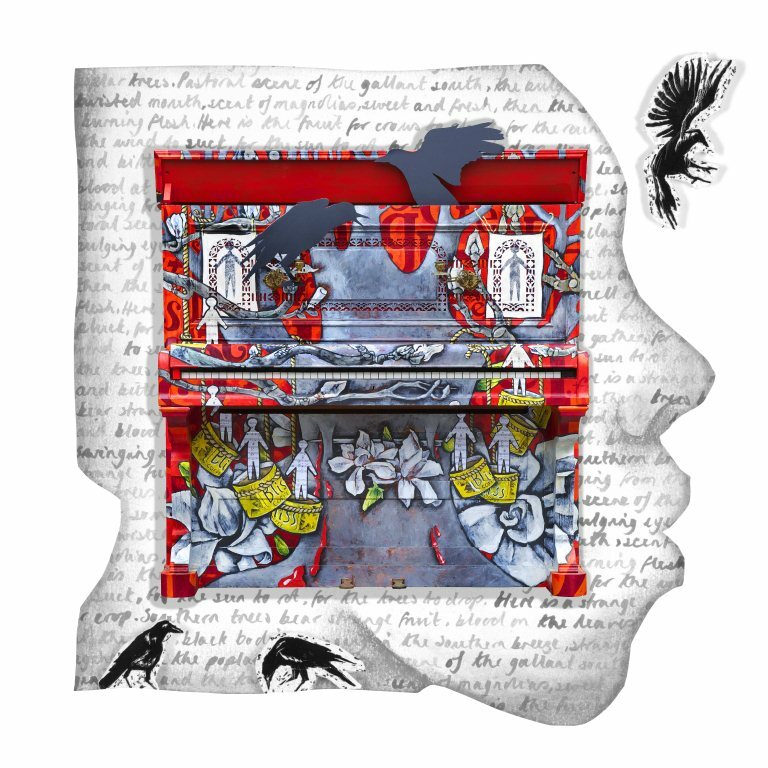 Designs include a painted piano inspired by the music of Gershwin, as well as an Afrobeat themed piano, inspired by the likes of drumming master Tony Allen who’ll be at the Festival. The Racecourse also commissioned a Piano with their Artist in Residence, Elizabeth Armstrong who painted The Winning Silks Piano at The Festival at Cheltenham Racecourse signed by 20 times Champion Jockey A P McCoy and this year’s Gold Cup winning jockey Nico De Boinville. These Painted Pianos will be a real talking point in the Festival Garden. Visitors will love looking at the fantastic jazz-inspired designs, but they’ll also be able to play the pianos. Framed Prints of the pianos will be on display at the Jazz Festival’s Take 5 Tent, Box Office and VIP Lounge.